Want to review NITECORE flashlights? 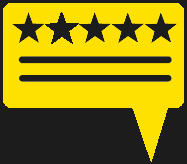 We're always looking for reviewers to share their experiences with the world. Do you have a blog, Youtube channel, Facebook page or other online audience where you post frequently? Do you enjoy sharing your expertise and unique insights with others? We'd love to learn more about you! Fill out the form on the right to be considered for future new releases.